The Hong Kong Shinkyokushinkai is a non-profit making organization composed of a committee which consists of a group of members who are strongly inspired by Kyokushin Karate. originated what is known today as "Full Contact Karate". that the true way of Budo Karate was in the actual physical contact. skills and brought life to his ideals. represent his karate as a worldwide organization. The spirit of Kyokushin is based in rigorous and lifelong training…its motto is "head high, eyes low, ears open, mouth shut". 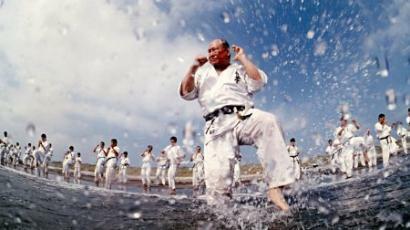 Kyokushin Karate provides a foundation for improving physical and mental discipline and is intended to function as a contribution to society.